Southern Maine Health Care (SMHC) announced plans to significantly enhance and expand the scope of health services it offers in Sanford to better meet the health needs of the local community and of greater York County. The plan calls for investments totaling $34 million to expand, enhance and add a variety of health services identified as critical to the local community. The plan includes construction of a new, modern long-term care center for older adults, the establishment of a short-stay, inpatient behavioral health care unit and general upgrades to the SMHC Medical Center in Sanford, formerly Goodall Hospital. The projects are in addition to more than $10 million of investment that has already been made in the facility's technology, operations and outpatient services since the merger to form Southern Maine Health Care in 2014. "Ninety years ago, Sanford opened the doors of its own community hospital. Today, we are proud to announce that we will continue that tradition of caring for our community with a series of projects intended to re-invigorate this campus, create new jobs and provide much-needed health services," said Nathan Howell, Southern Maine Health Care president. "Our goal is to leverage all of the advantages and value that Southern Maine Health Care and the MaineHealth system offer to benefit our patients in the Sanford area." The projects include a $23 million, 94-bed Eldercare Center that will provide skilled nursing, long-term and memory care services; an $11 million, short-stay behavioral health care unit that will be relocated from Biddeford to Sanford more than doubling its capacity; and a series of general campus improvements currently under way that will continue into the spring. Each project will be the product of strong partnerships with experienced health care companies and non-profit organizations and are being made possible, in-part, by the strength of the recently unified MaineHealth. Each of the projects will serve critical health needs in York County as well as provide new economic benefit to Sanford. "We are adapting our services to meet the needs of our communities, and we must serve those needs in a way that provides the care people require and also meets their expectations from an experience perspective," said Michael Albaum, M.D., chief medical officer, Southern Maine Health Care. The Eldercare project will be made possible through a partnership between developer Sandy River Company, a Portland, Maine-based developer, and North Country Associates, a Lewiston, Maine-based operator and manager of older adult care centers throughout the state. The project, which requires state Certificate of Need approval, was previously announced under an operating agreement with Genesis Health Care Corp. that mutually ended. Pending regulatory approvals and construction schedules, the new Center will open in fall 2020. It will replace the existing Newton Center located on the SMHC Sanford campus and will be managed by North Country Associates. All current patients will be seamlessly transitioned to the new Center and SMHC staff will be offered priority for new positions created at the Center. "The new Eldercare Center will include more private rooms than any other center of its kind in Maine and bring back memory care services," said Patsy Aprile, chief operating officer, Southern Maine Health Care. "The Center will be organized into communities depending on the level of care residents need — one each with its own designated dining room, activity and green space as well as a host of other amenities designed to ensure a comfortable and positive environment for residents as well as families and visitors." 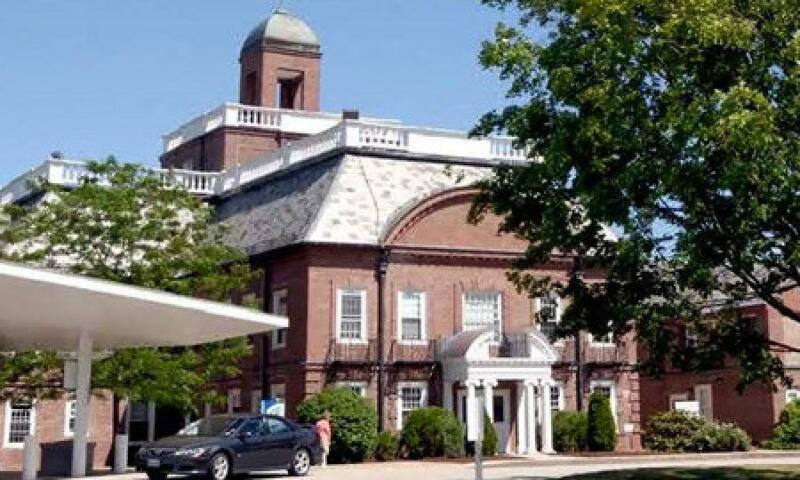 The plan includes relocating the existing 12-bed adult behavioral health care unit in Biddeford to Sanford and expanding the number of adult beds to 30 with potential for further growth. The $11 million project will generate upwards of 50 new jobs and provide critically needed bed capacity for York County patients who are experiencing short-term crises with common diagnoses such as depression, post-traumatic stress disorder and substance use disorders. The project is expected to be completed in 2020. "The lack of short-stay beds in York County for patients with behavioral healthcare needs is resulting in unacceptable wait periods for these patients who desperately require care," said Robert McCarley, M.D., a psychiatrist and vice president of Medical Affairs with Maine Behavioral Healthcare. "These patients, who are our friends, neighbors and family members, often present at local emergency departments where they may wait extended periods of time for a bed, and in the process cause a domino-effect of delays for other patients requiring emergency health services." Over the last year, at SMHC's two emergency rooms, behavioral health cases have increased 20 percent with now more than 250 cases presenting each month. This has extended ED wait time for emergency medical patients. Similar to how it operates today in Biddeford, the proposed behavioral health care unit will be staffed by Maine Behavioral Healthcare (MBH). It will only serve adult short-stay patients who will have individualized discharge plans that require them to be transitioned to an appropriate level of continuing support care in their home communities. Although the relocated unit does not require state Certificate of Need, SMHC and MBH recognize the need for community engagement on the topic as the project moves forward. "These projects are designed to serve the identified current and future health needs of our community. As such, we recognize that they would benefit from input provided by the community and our neighbors. We have already begun the process of collecting feedback from community leaders, which has largely been positive, and we are identifying additional ways to engage other members of the community with our planning," Howell said. Additionally, the SMHC Medical Center in Sanford is undergoing a series of campus enhancements to upgrade technology and modernize its appearance. A new MRI machine was installed in December and enhancements include improved lighting, sidewalk replacements and curb repairs, sealcoating in the parking lot, landscaping, and new carpeting. These renovations are the latest in more than $10 million of work improvements made to SMHC Medical Center in Sanford since the merger in 2014. Those investments have included expansions and enhancements of outpatient care services, imaging technology, infrastructure and more. Howell credits the MaineHealth effort over the last two years to build a unified health care organization that can more freely move resources among members in order to more effectively respond to patient care needs. "Sanford will benefit from MaineHealth's efforts to build a truly integrated health care organization that is well positioned to address some of the more challenging cost and care delivery trends in the industry today," Howell said. "By working together with our partners at MaineHealth, Maine Behavioral Healthcare and others, we can more efficiently and effectively meet the needs of those we serve." For more information, visit smhc.org.